ImpactSearch Partners (i)MPACT IS OUR PACT! Ali is the recruiting veteran at ImpactSearch Partners. She brings over 20 years of agency recruiting, consulting, and team development experience with her to the executive team. With a degree from Iowa State University, Ali started her career with a boutique Atlanta-based recruiting firm where she spent a decade as top biller and award winner. Considered an expert in the industry, she was interviewed by Clark Howard on CNN/Headline News and was asked to offer her insights on how social media has changed the landscape of today’s job market. Ali is consistently up-to-date on the cutting edge trends in the industry and uses her extensive experience and leadership skills to mentor and develop the ImpactSearch Team. Brian brings over two decades of combined sales experience and search expertise to the ImpactSearch executive team. With a degree from Ohio University, he started his career in the software/technology industry, where he excelled in direct sales. In 2004, his entrepreneurial spirit and enterprise experience drove him to start his own sales recruiting practice. Understanding what it took to be successful, and knowing how to align with clients’ needs, Brian established a client roster of emerging start-ups as well as established software companies across the U.S. Since starting ImpactSearch Partners in 2007, Brian has successfully filled sales positions from entry level to executive leadership and continues to focus on Business Development and Enterprise Sales. Cheryl brings over 20 years of software sales, consulting and recruiting experience with her to the ImpactSearch executive team. With a degree from the University of Michigan and an early focus on leadership, Cheryl started her career at GE and developed skills in organizational structuring and process improvement. Moving into the tech start-up world and working for several Atlanta-based software companies, she continued her growth in account management and lead generation. She ultimately found her passion building and managing high-performing inside sales teams. Today, with her focus on business development and client relations, Cheryl’s vision, extensive experience and industry expertise drive ImpactSearch’s continued success. 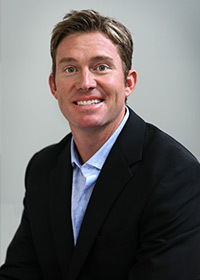 Matt Abbott joined ImpactSearch Partners in 2016. His career as a software architect and engineer, designing and implementing products for top companies like Intel and Silverpop Systems, now part of IBM, gives him a unique background and insight into our clients’ needs. He brings over 20 years of software development experience where he has consistently advanced, becoming a technical leader and subject matter expert in both large corporate environments as well as small start-ups. He thrives on new challenges and in every new role and has stayed involved in code, believing that it is necessary to understand technology to use it most effectively. Matt has a Mechanical Engineering degree from Northwestern University and has done graduate coursework in electrical engineering at UC San Diego. Matt lives in Atlanta with his wife and two children. Courtney Richardson started her career with Fortune 2000 companies focused on life sciences and medical device sales. After 10 successful years in the medical arena, she decided she could leverage that experience in a variety of industries as a recruiter. She is passionate about companies with disruptive technologies that have an equally exciting culture. She uses a consultative approach to understand her client’s product, their people and what they need. As an extension of their company, she enjoys longstanding relationships with most of them and these strategic partnerships allow her to manage the hyper-growth mode from beginning to end. Courtney is a Virginia Tech graduate and a member of the Atlanta chapter of Women In Technology. She uses that as both a networking tool and an avenue to stay in touch with industry advances. She is also an active member of AA-ISP, the Atlanta chapter of the American Association of Inside Sales Professionals. In Courtney’s 5 years at ImpactSearch, she’s won several President’s Cup Awards, recognizing her as a top recruiter. She also manages the training and mentoring of new hires at ImpactSearch. Today Courtney resides in Charleston, SC and sources high caliber candidates for ImpactSearch Partners in the region and across the country. As a senior recruiter, Allison Henderson brings almost 10 years of sales experience to the ImpactSearch Partners team. She began her career selling print and direct marketing services and then moved into pharmaceutical sales. She has successfully translated that strong sales background and industry knowledge to recruiting, becoming an invaluable asset to her clients and candidates. She prides herself on her ability to work with younger candidates, early in their careers. Her patience and consultative approach gives these job-seekers the confidence to realize their potential, leading to their success and often long-term placement in positions where they can be of great value to clients who are hiring at that level. Allison has her bachelor’s degree in Business Communications from Auburn University. While at ImpactSearch Partners, she has consistently been one of our highest volume recruiters, often recognized as a top-producer each year. Born and raised in the South, Allison relies on her southern roots for connections nationwide. Today she resides in Atlanta and sources high caliber candidates for ImpactSearch Partners in the region and across the country. Megan Pressman, a senior recruiter for ImpactSearch Partners, has almost 10 years of full-cycle recruiting experience. After beginning her career in sales and marketing, she moved into recruiting as a Staffing Manager for Robert Half International. She was quickly promoted to management and handled operations at a District level. While at ImpactSearch Partners, Megan has played an integral role in scaling sales teams for her clients, including both individual contributor and leadership positions, during times of intense growth. Megan is a graduate of Miami University (of Ohio) with a Bachelor’s Degree in Finance. Since joining ImpactSearch Partners in 2014, she has consistently achieved top-performer status and continues to be a leader on our team. Megan has been in Atlanta since 2010 and has built a strong regional network. After starting her recruiting career in the Denver area, she has an expanded national footprint, which gives her a phenomenal advantage when sourcing quality candidates nationwide. Robyn Drost has an extensive background in sales and marketing, gained in both the corporate world as well as on the recruiting side. After starting her career in business development and marketing strategy, she spent 8 years as a Division Director for Robert Half International’s Creative Group, placing talent at many of Atlanta’s top advertising, digital and design firms. She has corporate recruiting experience as well, working with numerous marketing and in-house creative service departments in Fortune 100 Companies. Robyn holds a Bachelor of Science Degree in Business and a Master’s Degree in Marketing from Louisiana State University. At ImpactSearch Partners, she is one of our best at expanding business opportunities within her existing client base. Her ability to build long-term relationships and consistently over-deliver allows her clients to depend on her with all of their recruiting needs. She also has a passion for client development and does an exceptional job managing and maintaining her current client base while always building her contact list and bringing in new business. After spending almost 20 years in the southeast, Robyn has developed a network of contacts that enables her success in countless client searches. She understands the key to success is building long-term relationships with both clients and candidates. Cindy Santander has 20+ years experience in consultative sales, with her core competencies in the technology vertical. Having gone from a career in professional sales to recruiting for sales roles, her experience and understanding of the demanding nature of these positions makes her uniquely qualified to find the right candidates and prepare them for that career path. She is passionate about helping people find the next step in their careers. Her strength lies with top-level performers and she feels very comfortable connecting with professionals in that arena. Cindy has a degree in Marketing from the University of Tennessee. In addition to her intense professional sales background, she’s gained real-world recruiting experience while undergoing several comprehensive solution-sales training programs. Today, Cindy resides in Atlanta and sources high caliber candidates for ImpactSearch Partners in the region and across the country. Caitlin Maloof has an extensive sales background that she has successfully transitioned to recruiting for ImpactSearch Partners. Her career began in Boston as an Inside Sales Consultant for a large software company and she was quickly promoted to a Regional Lead on Enterprise Accounts. After moving to Atlanta, she spent five years as a Solution Consultant in the software space where she was the #1 revenue producer. Within her first year at ImpactSearch Partners, she brought in two new clients, both in regions outside of Atlanta. With contacts around the country, Caitlin has successfully built a nationwide network of resources. Caitlin has a degree in Professional Sales from Elon University in North Carolina. Her specialized degree and strong ties to similar programs around the country have allowed her to stay active in that community. She is a judge for professional sales competitions at colleges nationwide and has the opportunity to interact with and advise new graduates as they move into their own professional careers. Lisa Tis has extensive recruiting experience on both sides of the equation: Corporate and Agency. She began her career in marketing and transitioned to corporate recruiting in the technology vertical. She has worked for companies of all sizes but has a passion for high-growth tech firms. Her longstanding relationships and tireless efforts were recently rewarded as she secured ImpactSearch’s largest revenue-producing client for 2018. Lisa has a BBA in Management and Marketing from Mercer University and an MBA in Marketing Research and Strategy from Georgia State. She is certified to be a RightPath facilitator and is able to help with pre-hire assessments, team building and leadership development. As a Georgia native, Lisa has an amazing local network and has been able to capitalize on it at a national level. Melissa Baumbick has over 20 years experience in the marketing industry, working with large corporate clients such as Coca-Cola, Ciba Vision and Centex Homes as well as smaller, non-profit organizations like the North Coast Chamber of Commerce and the Acoustic Neuroma Association. She is a strong project manager with experience in social media, digital communications, strategic development, promotional marketing and event planning. She has been involved in ImpactSearch Partners in different capacities since its inception in 2007, but recently took on a more active role as Marketing Director, handling everything from their website and social media to events and growth opportunities. Melissa has a Bachelor’s Degree in Journalism with a specialty in Advertising from Ohio University. She lives in suburban Atlanta with her husband and their three children. Copyright © 2019 Impact Search Partners.